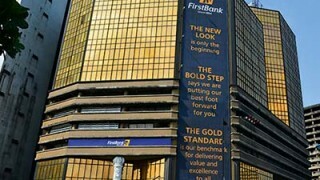 Shareholders of FBN Holdings Company (Holdco) Plc, has endorsed the bank’s N8.97billion total dividend, culminating to 25 kobo per share due to every investor of the bank for the 2017 financial year. 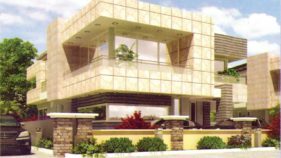 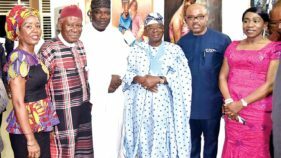 The Chairman of Honeywell Group, Oba Otudeko, has said that Honeywell companies are no longer indebted to Ecobank Nigeria. 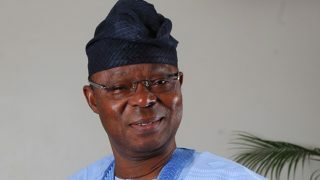 The Chairman of Honeywell Group, Oba Otudeko, yesterday engaged broadcast journalists in a hide-and-seek game at the premises of the Federal High Court, Lagos. 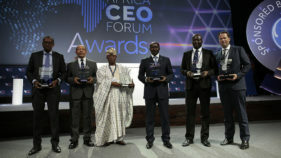 Chairman of Honeywell Group, Dr. Oba Otudeko, has emphasised the importance of innovation to business success, describing the process of building a business as an art and scientific endeavour. 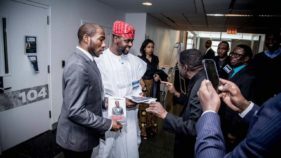 Investors Tuesday expressed confidence in the resurgence of Nigeria's struggling economy describing it as 'very critical' to building African companies that could join the league of top 500 in the next eight years. 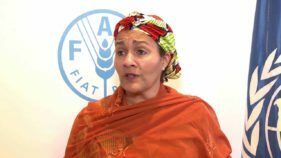 Members of the United Nations Global Compact (UNGC) local network in Nigeria have renewed their commitment to achieving the Sustainability Development Goals (SDGs) of the out-going Minister of environment, Amina Mohammed.